The 2019 BMW X7 is here, and it’s ready to prove equal to any and all challenges. Available now at our Boston, MA, BMW dealership, the 2019 BMW X7 is a Sports Activity Vehicle® that provides drives with comfort, performance and prestige in equal measure. Whether you’re looking for a commuter-friendly ride that can accommodate all your passengers or an adventure-ready vehicle that will make your weekend journeys more fun, the 2019 BMW X7 is right for you. See how it compares favorably to SUVs from Mercedes-Benz, INFINITI and Lexus below. Then, explore how you can buy or lease a new BMW X7 in Boston. The 2019 BMW X7 xDrive40i is powered by a 3.0-liter TwinPower Turbo inline 6-cylinder engine that allows you to accelerate from 0-to-60 mph in under six seconds. That means you’ll roar past drivers stuck inside the slower 2019 Mercedes-Benz GLS 450 or the 2019 Lexus LX 570. 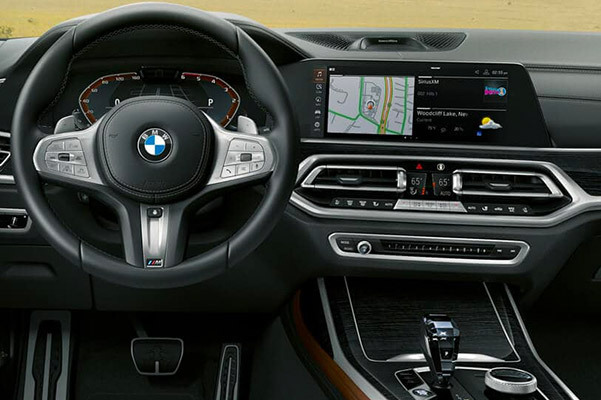 But this BMW doesn’t just impress under the hood; it also offers an incredible list of interior perks that add value to your purchase and comfort to your rides. Park Distance Control, Active Blind Spot Detection and Lane Departure Warning all come standard in the 2019 BMW X7. You’ll have to pay more for those features in the 2019 INFINITI X80 or the 2019 Mercedes-Benz GLS 450, if they’re available at all. 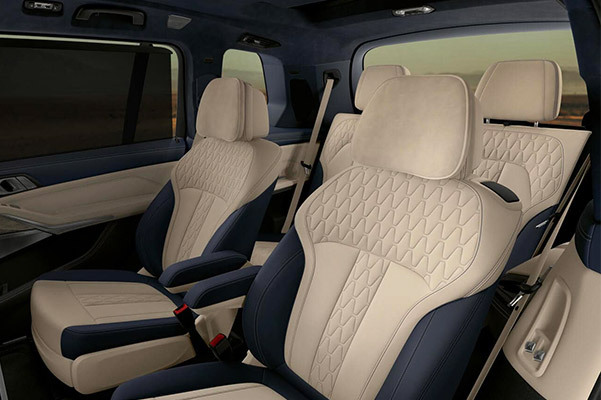 Factor in the one-of-a-kind style that’s naturally imbued in every BMW, and it’s clear the X7 stands above the rest. Need more convincing that the 2019 BMW X7 is your best bet? Compare it to would-be competitors from Mercedes-Benz, INFINITI and Lexus below. Then, schedule a 2019 BMW X7 test-drive at Herb Chambers BMW of Boston. Once you’re behind the wheel of this luxurious SAV®, you’ll fall in love with driving all over again.